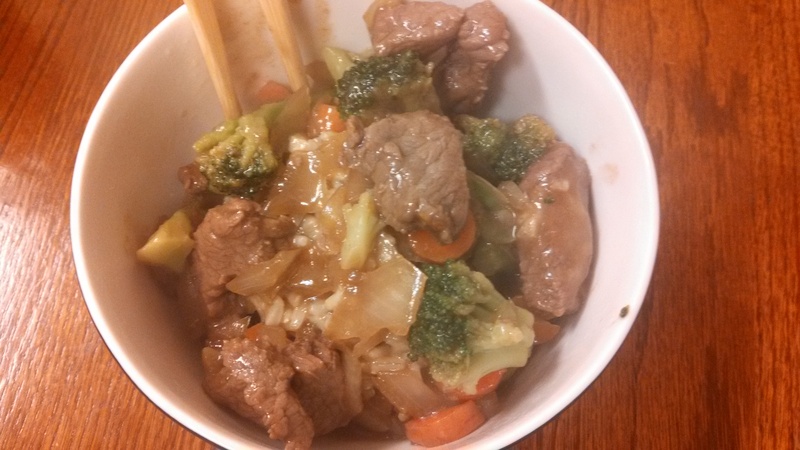 I had it all planned out to make this slow cooker beef and broccoli dish from Mother Thyme but then I ended up completely changing it. It was a very high-maintenance slow cooker dish that I did not fully realize until the night before I was planning to make it. My husband is sometimes home during the day, and he would have basically needed to make the entire dinner. That would have been fine, but he’s not the one fond of cooking, and it just seemed like too much work to be considered a slow cooker dish. It ended up being far LESS work to just make it on the stove. 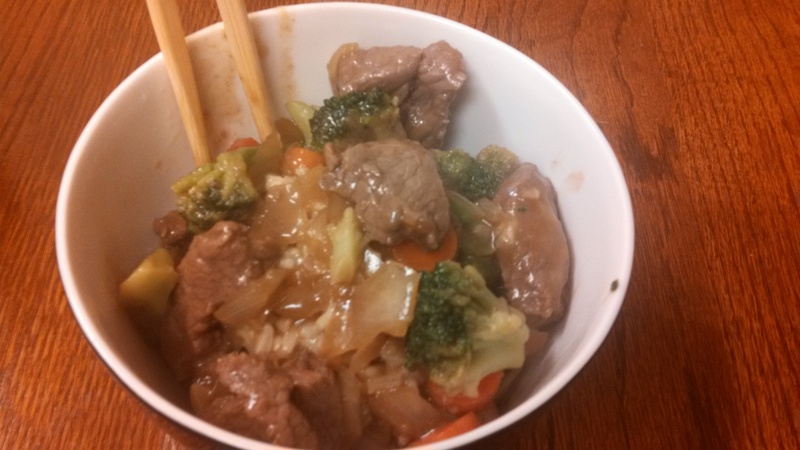 I ended up cooking the beef in my wok, then added the sauce, then added the thickener, and let it simmer for a bit to thicken up. Then I served over rice! I don’t like broccoli, so I added some other vegetables as well, so that I would have a well-rounded dish. I am going to post the recipe based on Mother Thyme’s instructions, but feel free to do it whichever way is easiest for you! Regardless of how it’s cooked, the sauce was just delightful! 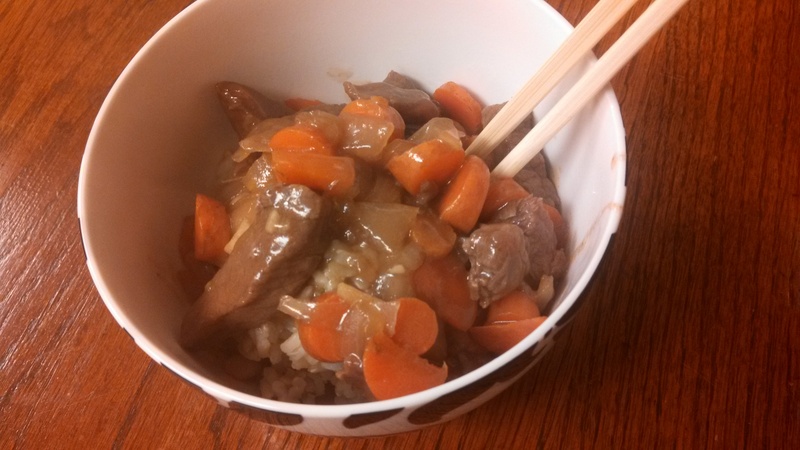 It was a great mix of flavours, and not too salty, which is something I often fear. It was great to pair with brown rice. -In a small bowl, whisk together broth, soy sauce, oyster sauce, brown sugar, sesame oil, and garlic. -Pour over beef and let it marinate for about 15 minutes at room temperature. -Place mixture in slow cooker and cook on low for about 4-5 hours. -In another small bowl, whisk together water and cornstarch until dissolved, then add to the slow cooker. Cook for another 30 minutes or until sauce thickens. -Before serving, stir in cooked broccoli. -Serve over cooked brown rice.